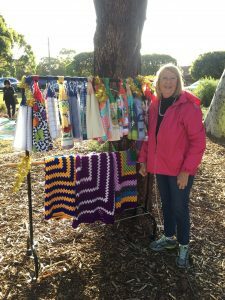 The Willagee Night Market held at George Humes Park on Friday 30 November was the first of its kind to be held in the suburb. The partnership event was held by the City of Melville and the Willagee Town Team and was a huge success with lots of families coming down to enjoy the food trucks, market stalls and buskers. 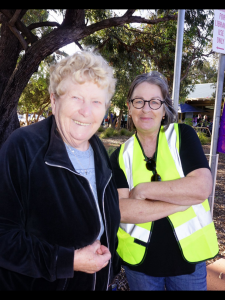 Trish Donovan, Alchera’s Resident Liaison Officer, Willagee local and member of the Willagee Town Team, volunteered on the night and was snapped in her high viz vest with Megan Brown, Alchera’s Administration Assistant who came to along check out the home made goodies at the market stalls. 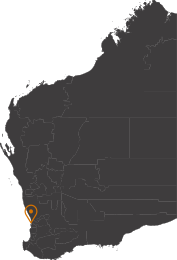 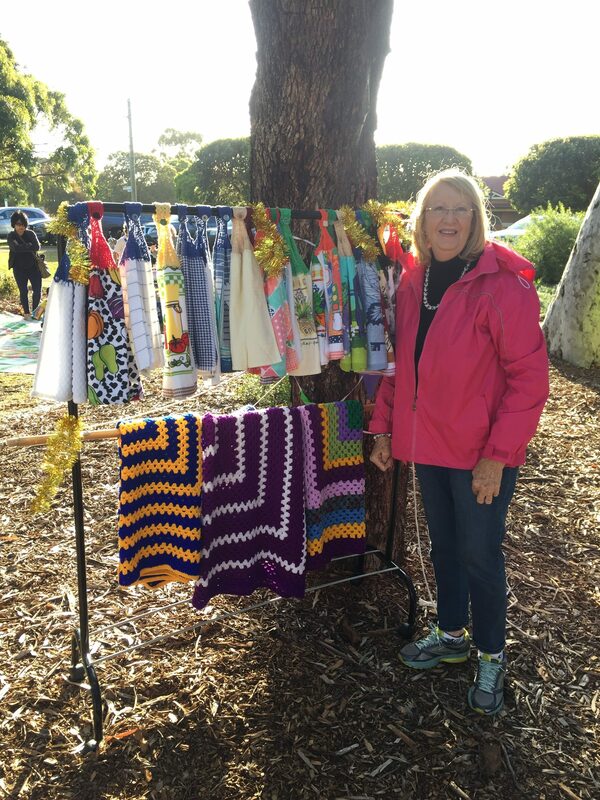 Webber Gardens residents, Anne and Brian Billi, had a stall with an impressive array of knitted and crocheted offerings and several residents from both Weeronga and Webber Gardens were spotted among the crowd. 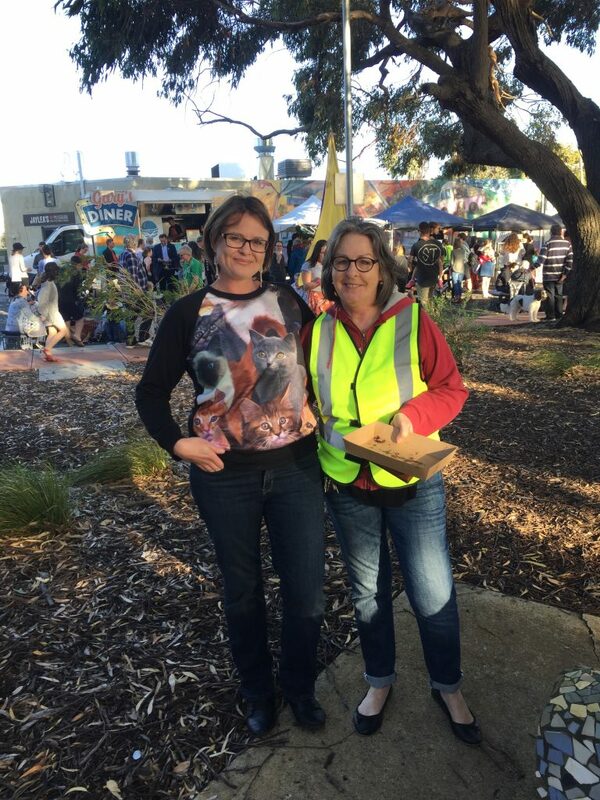 Congratulations to everyone who worked hard to organise the event – it was a great night out and everyone is looking forward to the next one!